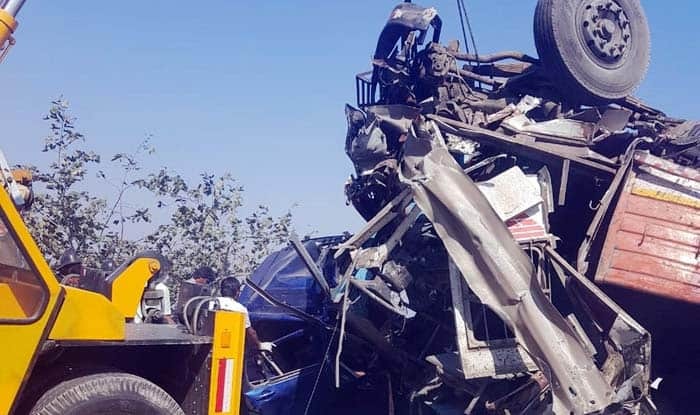 Mumbai: Four people were killed, and five injured during a collision between a truck and a car near Khopoli on Pune-Mumbai expressway, news agency ANI reported on Friday. In a separate incident on January 2, three members of a family were killed as their two-wheeler collided with a truck on NH-41 in East Midnapore district in West Bengal. The accident took place in Bhabanipur police station area here when the three were returning home to Tamluk from a function at this port town. The victims were identified as Sk Samsur Zaman (42), Sk Noor Mohammad (27) and Sk Saidur Rahaman (22), all residents of Ranichak village under Tamluk police station in the same district, the police said. The bodies were handed over to the family after conducting a post-mortem examination.